Parijat offers master classes, workshops, and courses at the undergraduate and graduate level. Areas include: Technique (contemporary dance, contemporary bharata natyam, Indian folk dance), choreography/composition, improvisation. She has also led movement workshops for actors and theater makers. Parijat has taught at Stanford University (through the Institute for Diversity in the Arts, the Dance Program, and Stanford in New York), UCLA, Northwestern University, Queens College/City University of New York, Columbia College/Chicago, Colorado College, University of Colorado at Colorado Springs, University of Colorado/Denver, and Texas Tech University. Parijat has also taught contemporary dance and contemporary bharata natyam at various studios. In NYC, she has taught at Mark Morris Dance Center, Peridance, and conducted independent workshops. She has also taught at various studios in India; Delhi: Gati Dance Forum, Musical Dreams, and the DanceWorx; Bangalore: Attakalari Centre for Movement Arts and Shoonya Center for Art and Somatic Practices; Darpana Academy/Ahmedabad; and Arts in Motion Studio/Mumbai. Parijat enjoys teaching young people and working with elders. She has taught Indian classical and folk forms—see Dance In The Round—and as well as contemporary dance and creative movement. 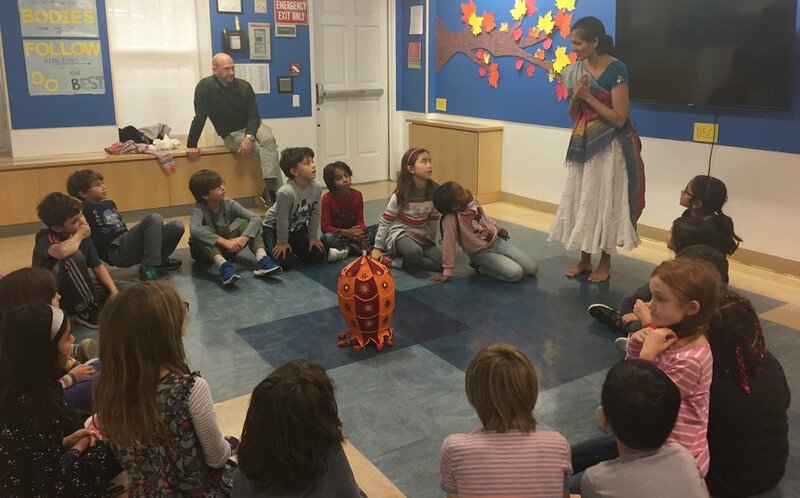 Most recently she has taught Garba/Raas (circle dances) for ages 5–12 at The Dalton School and contemporary dance for high schoolers at The Spence School. She teaches movement classes of seniors through India Home, and is an freelance artist educator through Lotus Music and Dance/New York. Parijat was previously a teaching artist through Harlem Stage's afterschool program at Randolph High School and Yo-Yo Ma's Silk Road Connect education project.